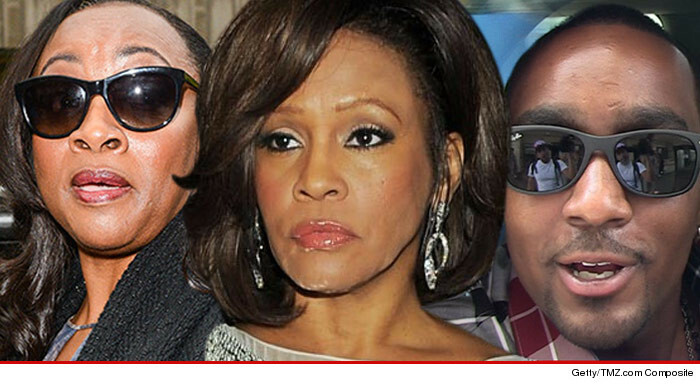 Whitney Houston's sister-in-law just got a year's worth of peace of mind ... a judge has just ordered Whitney's son-in-law Nick Gordon to stay clear of her for the next year. We broke the story ... Pat Houston got a restraining order against Nick last month ... claiming he made threatening comments against her and posted ominous photos of guns on Twitter. Now a judge has extended the order for 12 months, so Nick can't contact Pat or anyone in her immediate family ... he comes within 200 yards -- he goes to jail. The bad blood is long-standing. Family members tell us Nick resents Pat because she controls the purse strings of Whitney's estate ... and he thinks his wife Bobbi Kristina got screwed on her inheritance. We reached out for comment ... so far, no response.